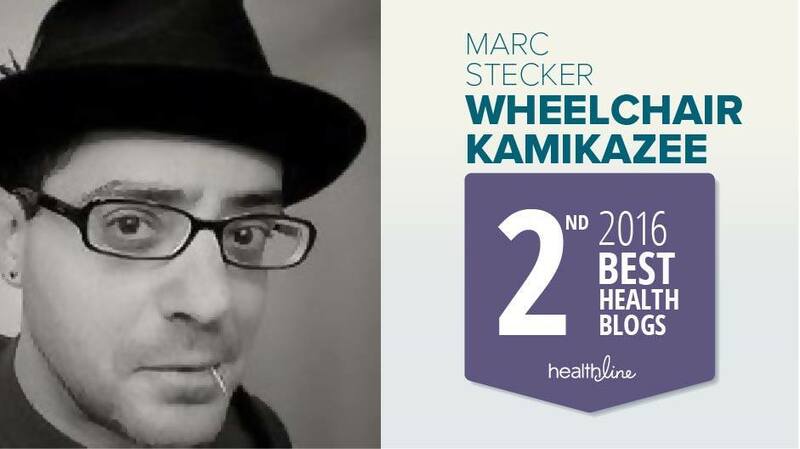 Wheelchair Kamikaze: Recent Research on HSCT, the Stem Cell Therapy That May Soon Change the MS Treatment Landscape. Recent Research on HSCT, the Stem Cell Therapy That May Soon Change the MS Treatment Landscape. Over the last six months or so, there has been a wave of new and encouraging research published regarding HSCT (Hematopoietic Stem Cell Therapy) for the treatment of multiple sclerosis. HSCT is the type of stem cell therapy in which a patient’s existing immune system is completely eradicated through the use of powerful chemotherapy drugs and is then rebooted via an infusion of their own stem cells. Some of the results reported have been nothing short of astounding, and even previously skeptical neurologists are now being forced to consider HSCT as a potential game changer that may significantly impact the MS treatment landscape sometime in the not-too-distant future. So that this article doesn’t take on the length of a Russian novel, rather than getting into the detailed specifics of what HSCT is and isn't I’d like to concentrate on the recent HSCT published research and its implications. For a comprehensive overview of HSCT, please read my previous post on the subject by (clicking here). 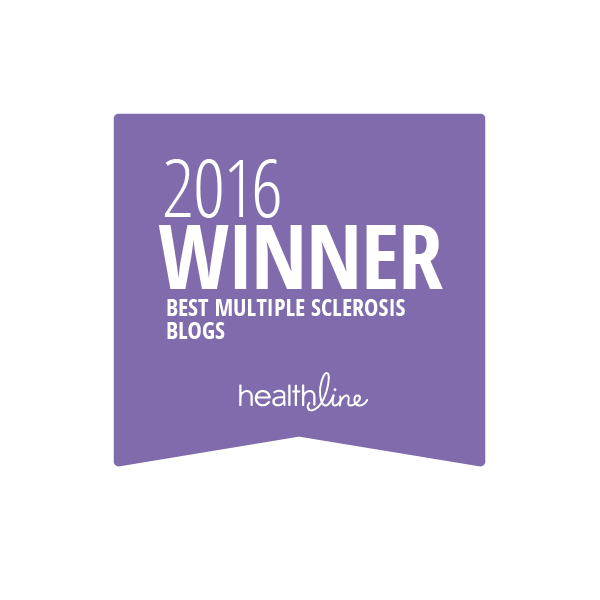 For a rundown on the different types of stem cell therapies currently being trialed in MS, please (click here). Just a few things before delving into the research. It’s vitally important that patients not confuse HSCT with regenerative stem cell therapy, which attempts to directly repair the central nervous system damage done by MS. HSCT is a completely different approach with a completely different goal. Regenerative stem cell therapy, such as that being trialed at the Tisch Center in New York (click here) generally does not involve any direct manipulation of patients’ immune systems. HSCT, on the other hand, is entirely directed at providing patients with a new immune system after completely wiping out their presumably defective existing set of immune cells. The two treatment approaches couldn’t be any more different; their only similarity is that they both use stem cells in an attempt to combat multiple sclerosis, albeit in very different ways. There are currently two forms of HSCT being trialed on MS patients, termed the myeloblative and non-myeloblative treatment protocols. The myeloblative protocol uses a combination of very strong chemotherapy drugs to completely ablate (a fancy word for “destroy”) patients’ immune systems as well as their bone marrow (immune system cells are manufactured in the bone marrow). Non-myeloblative HSCT uses a gentler chemotherapy regimen that takes down the immune system but leaves bone marrow intact. There is some debate among researchers as to which treatment protocol is best suited for combating MS, an issue that is still being sorted out. There’s also the question of which patients are most likely to respond to HSCT. Because HSCT is directed entirely at replacing a patient’s presumably defective immune system with a new one that doesn’t attack the body’s own nervous system cells, the prevailing thinking is that only patients displaying the hallmarks of immune system driven multiple sclerosis would likely respond well to the treatment. With this in mind, most HSCT research and treatment centers restrict the treatment to patients with active inflammatory MS, meaning that eligible patients must have recently experienced multiple MS relapses and/or displayed enhancing lesions on their MRI images (enhancing lesions are indicators of immune activity within the central nervous system). Since this excludes many secondary progressive (SPMS) and most primary progressive (PPMS) patients, who experience increasing disability in the complete absence of relapses or enhancing lesions, these requirements are understandably the source of much consternation among this patient population (myself included), who are currently presented with no effective treatment options. More on this later. A study out of Chicago that used the gentler, non-myeloblative form of HSCT on 151 MS patients (123 RRMS, 28 SPMS) resulted in some startling results on the RRMS patients taking part in the trial (click here). Not only did the vast majority of these patients see their disease stop in its tracks, but a large proportion also saw their levels of disability improve. Four years after treatment, 80% of trial subjects remained relapse free, and 87% showed no signs of disease progression. Furthermore, and perhaps even more astounding, there was a decrease in the disability scores in 50% of patients two years after treatment, and in 64% of patients four years after undergoing the treatment protocol without any further follow-up treatment (click here). Given that a reduction in disability scores is almost unheard of when treating MS patients, these are eye-popping results, to say the least, tempered only by the fact that the SPMS patients included in the trial were reported to have shown no benefit. This trial was headed up by Dr. Richard Burt of Northwestern University, a leading HSCT researcher. I tried to reach out to Dr. Burt via email with several questions before writing this piece, but unfortunately received no reply. A very informative interview with Dr. Burt is available by (clicking here). If anybody out there knows Dr. Burt, please tell him I’m still patiently waiting for his email reply, fully understanding that he’s a very busy man. In the meantime, if Dr. Burt should find himself in New York City and happens to get run over by a speeding wheelchair, I’ll swear on a stack of research papers that I had nothing to do with it. A smaller, 25 patient study, called HALT-MS, which used a harsher myeloblative chemotherapy regimen on patients with highly active relapsing disease who had failed to see benefit from at least two previous MS drugs reported impressive interim results (click here). Though study subjects are scheduled to be tracked for five years, the results reported were a snapshot of these patients at the three year mark after treatment. After three years, 78.4% of trial subjects were reported to be free of any disability progression, relapses, or new lesions. Digging deeper into the results revealed that 90.9% of subjects were progression free and 86.3% were relapse free after 36 months. Very impressive. I managed to get hold of the full published paper of this study, which indicated that although the numbers had not yet been fully crunched, it did appear that the effect of the treatment lessened with time, as fewer patients were reported to be free of signs of the disease at the four and five year marks (68.6% and 58.8% respectively). Again, though, these four and five year numbers were very preliminary, as not all patients had reached this duration after treatment. A friend of mine, Dave Bexfield, who runs the terrific MS website/forum Active MSers (click here) was one of the participants in the HALT-MS trial. Five years ago Dave was getting absolutely slammed by his disease despite having been on a series of MS drugs. He qualified for the HALT-MS trial and received myeloblative HSCT. His tremendously aggressive RRMS was put entirely into remission for several years, but unfortunately, after five years, Dave recently reported that his disease has shown signs of reawakening (click here) and he is now planning on going on one of the newer, more powerful MS drugs. Dave told me that even though his disease has returned, he has no regrets about undergoing HSCT back in 2010. Without the treatment he is sure the disease would have by now left him completely disabled, and HSCT bought him time at a point when it looked like multiple sclerosis would get the better of him. There are highly effective treatment options available today that weren’t available five years ago, and despite the reemergence of some of his MS symptoms, Dave is very grateful to have taken part in the study. An Italian team did a head-to-head test of the effectiveness of HSCT versus mitoxantrone (also known as Novantrone) on SPMS patients who had enhancing lesions on their MRIs (click here), the presence of which indicated that they still had an active inflammatory component to their disease. Currently, mitoxantrone is the only approved drug for use on patients suffering from SPMS. It’s a fairly wicked drug, so toxic to the heart that patients can only stay on it for a limited amount of time. Additionally, mitoxantrone has been linked to a dangerous increase in specific forms of leukemia and lymphoma. As a result of this daunting side effect profile, the use of mitoxantrone has largely fallen out of favor with most MS neurologists. This phase 2 study used an intensive myeloblative form of HSCT on a small group of study subjects (21, 17 of whom completed the study), and the primary endpoint of the study was a reduction in the number of enhancing lesions detected by MRI. Four years after treatment, HSCT resulted in a 79% reduction in new lesions as compared to those treated with mitoxantrone Unfortunately, no difference in disease progression was reported, but the study was not ideally set up to detect changes in disease progression, a metric which has proven to be very difficult to track even in studies specifically designed to detect disability progression. An editorial accompanying the study, which adds commentary to the statistics provided in the study abstract, should be of interest to all readers (click here). A very small study out of Hamburg, Germany attempted to directly address the difference in effectiveness of HSCT between RRMS patients with enhancing lesions and progressive MS patients not displaying lesion enhancement (click here). This very small 10 patient trial (four progressive MSers, six with RRMS) compared the results between the two groups two and half years after treatment. The researchers found that although five of the six RRMS patients did show benefit from treatment, none of the progressive patients followed suit. It should be noted that the RRMS patients were considerably less disabled at the start of the study than the progressive test subjects (EDSS 4.25 versus EDSS 6.25). Lastly, a study out of Moscow, Russia (click here) provided data suggesting that HSCT might be beneficial to progressive patients who don’t have enhancing lesions (as stated earlier, this includes many SPMS patients and the majority of PPMS patients). Unlike most HSCT treatment centers, the center in Moscow accepts patients with all types of MS (RRMS, SPMS, PRMS, and PPMS), regardless of whether or not they have enhancing lesions on their MRIs or have recently experienced relapses.. A total of 99 patients were included in the study, 43 with RRMS and 56 with various forms of progressive MS. The summary of this study revealed that 49 months after undergoing treatment, 83.3% of RRMS patients and 75.5% of progressive patients exhibited no signs of relapses or disease progression. After eight years, 45% of treated patients exhibited an improvement in mobility scores, while 45% remained stable. These are compelling numbers, to say the least, particularly for someone like me who has never had enhancing lesions but has nevertheless experienced a constant progression of disability. So compelling, in fact, that I asked a physician friend of mine to provide me the full paper (I could have bought it myself for $40 but most doctors can get research papers for free, and, hey, that’s what friends are for) so that I could dig deeper into this apparently promising research. Upon reading the full paper (sorry, I can’t link to it because of copyright laws) my enthusiasm was tempered a bit. Although the paper states that only 40% of study subjects had exhibited enhancing lesions before undergoing HSCT, it turns out that this statistic was based on a single MRI done soon before the patients underwent therapy. A single MRI can easily miss enhancing lesions, especially if patients had been on disease modifying drugs, which is why most HSCT centers require patients to have exhibited enhancing lesions and/or relapses (which are almost universally accompanied by enhancing lesions) at some point during the full year prior to treatment. Additionally, the scope of the disease histories of the patients treated in Moscow varied widely and in many cases was severely deficient. The full paper clearly states this, saying that “patients enrolled in the study previously have been treated in different centers, and the information about disease activity prior in the disease course and its treatment was inhomogeneous and in some cases quite scarce.” I found this sentence to be disquieting, as without comprehensive disease and treatment histories it’s almost impossible to accurately assess the disease state of any individual patient suffering from an illness as complicated as multiple sclerosis. In fact, the abstract of the study, which is available to the general public, even warns that because of this dearth of patient info “comparison with the results in the literature should be done with caution.” This line throws up a big red flag, as the ability to compare and replicate results from study to study is among the foundational basics of the scientific method. Furthermore, despite publishing statistics that appear to indicate the treatment as practiced in Moscow was effective across a wide spectrum of MS patients, the authors state that “the best candidates for transplantation seem to be relatively young patients with active inflammatory lesions of relatively short duration and rapidly progressive disease, but still low disability scores, unresponsive to conventional therapy.” This was among a number of apparently contradictory elements contained in this research that left me with more questions than answers. While these results certainly can’t be discounted entirely, without a comprehensive, detailed data set it’s impossible to properly discern their value and validity when compared to other studies, a point the authors themselves reiterate on several occasions. Based on this accumulated HSCT research, certain trends seem clear. HSCT treatment definitely seems remarkably effective on patients with active inflammatory relapsing remitting multiple sclerosis, in the majority of cases resulting in complete remission of the disease for five or more years, sometimes accompanied by a reduction in disability as well. This is far more effective than any of the currently approved disease modifying drugs with the possible exception of Lemtrada, whose mechanism of action in many ways mirrors that of HSCT (for more information on Lemtrada, which was recently approved by the FDA and is covered by most insurance companies, please click here and here). The safety profile of HSCT as now practiced seems quite robust. None of the above studies reported any HSCT related mortalities, although some serious adverse events above and beyond those that would be considered normal for patients undergoing chemotherapy were described (most in the form of opportunistic infections). Clearly, the decision to undergo HSCT should not be taken lightly, as at its heart the treatment involves using strong chemotherapy drugs to completely eradicate a patient’s existing immune system. 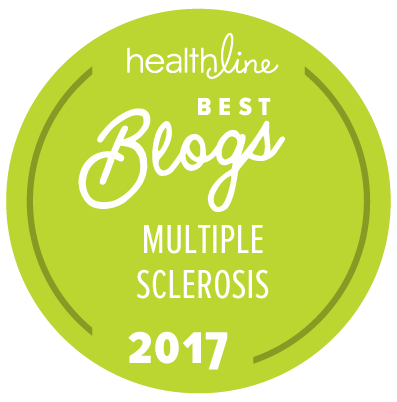 Multiple sclerosis is serious business, though, and many patients would gladly accept this risk/reward scenario for a chance at complete remission lasting years or even decades. Despite the fact that there are credible anecdotal reports on various HSCT websites from progressive MS patients who state that they’ve been helped by the treatment, and even though I’ve desperately wanted – for my own selfish reasons – to find research to back up such statements, I’ve yet to come across any hard data to back up these claims. Research has shown that the treatment can be effective on progressive patients showing signs of active inflammatory disease (enhancing lesions), but there is little hard objective evidence to support the notion that HSCT benefits patients experiencing progression in the absence of active inflammation. Because the rate of disability progression varies widely from patient to patient suffering from progressive MS, and can sometimes temporarily “plateau” or even cease entirely, predicting disease progression can be quite difficult, even for patients themselves. Using myself as an example, my wife likes to chide me that I’ve been telling her that I’ll probably be bedridden in six months for the last five years. In order to properly assess the effectiveness of any treatment for progressive MS using disability scores as markers, studies would need to last much longer than the 2-3 years typical MS trials generally run, which is among the reasons why so few trials on progressive MS have been conducted. Even in the recent, much talked about successful study involving the use of biotin to treat progressive MS patients (click here), it was shown that after one year only 13% of patients taking placebo showed evidence of disease progression (compared to 4% taking biotin). I certainly hope that the patients with nonenhancing progressive MS reporting benefit do turn out to be success stories and that some form of HSCT does demonstrably prove effective on noninflammatory multiple sclerosis, but so far, at least, the data is lacking. Also lacking is long-term data on the durability of HSCT derived benefits on patients of all stripes. One older study (click here) looked at patients with aggressive multiple sclerosis 15 years after treatment and found that 44% of patients who had exhibited enhancing lesions before treatment and 10% who didn’t remained progression free. It should be noted that the patients included in this study were treated with earlier, much harsher forms of chemotherapy, and one would hope that the refinements made in the technique more recently would increase durability. Although all of the studies reported on in this article are considered early to mid-stage trials, they do suggest that HSCT is an extremely promising and potentially game changing treatment for multiple sclerosis. Further trials will be necessary before HSCT receives any kind of official approval for the treatment of multiple sclerosis. Although the treatment is being offered to patients in quite a few clinics around the world, the cost is quite high and most insurance companies will not cover the expense. Given the exorbitant cost of multiple sclerosis drugs, though, as more reliable data is released this situation should change. Paying $100,000 for a one-time treatment that keeps the disease at bay for even 5-7 years is far more cost-effective than paying the roughly $50,000-$60,000 per year currently charged for the FDA approved disease modifying drugs, a point that I’m sure will not be lost on the insurance company bean counters. It should be interesting to see how the pharmaceutical companies react to the HSCT threat to their bottom lines. Those patients currently considering HSCT therapy should limit their choice of treatment centers to those which have extensive experience administering HSCT, as study after study has shown that safety and efficacy increases exponentially with the number of procedures done. This treatment is not to be taken lightly, and cutting corners for cost or convenience could prove quite the egregious mistake. Given the current quickening pace of HSCT research, I would guess that the treatment could approach widespread acceptance sometime within the next five years, as long as the financial considerations of the pharmaceutical companies don’t get in the way (and that may prove to be a mighty big if). Based on the latest data, once approved HSCT should prove to be the most effective treatment available for patients with very aggressive active inflammatory multiple sclerosis, but will likely be reserved for those patients who have first failed current frontline therapies. As for patients with nonenhancing progressive disease, though objective hard data supporting the use of HSCT is lacking, given the anecdotal evidence I hope and expect expect future research will be done on such patients in an attempt to clarify the matter. The stakes are quite high for these patients, and even if the odds of success seem slight, the potential gains warrant further investigation. With neuroregenerative and neuroprotective compounds now in the research pipeline, and with HSCT offering so much promise, there is much reason for MSers to harbor hope for a brighter future. I read the same as you that a lot of Ppms patients show enhancing lesions when triple dose gadolinium is used which may explain why some have reported to benefit. I also wonder whether the different protocols used ie alemtuzumab vs rituimab etc in hsct affect the outcome? I think correct me if I'm wrong that rituximab is more effective on B cells? Which could be why russia has reported some affect. I also wanted to see more support for the fact that HSCT works for ppms but can't find a lot more than you have found. I know there was a study with Dr Burt where all early low edss spms patients had succes. I've also spoken to some people who have had it in Russia and claim success but I always worry these guys are sponsored. What would you do personally if you knew you had early but quite progressive ppms? Is there anything to lose really if the safety is up to an acceptable level and it could possibly buy you some time? I always think at some point or other there's inflamation in patients with ppms it just depends on when MRIs are done, so surely addressing the immune issue and then looking at neuropototection could be the way to go? Hi, the general consensus is that many PPMS patients never show enhancing lesions, and that these patients experience disease progression in the absence of inflammation. There is something else going on driving the disease process. Now, it could be that these patients simply weren't imaged soon enough to catch the inflammatory stage of their disease. While there may still be some "simmering" inflammation, which might be visualized using triple Gadolinium enhancement, this inflammation most likely is not the primary driver of their disease process, and HSCT would probably prove to be of little benefit. Dr. Burt has stated adamantly that "no inflammation, no benefit". By that he means the presence of enhancing lesions and/or relapses, not the kind of inflammation that one would have to dig hard to find. Remember, none of the very effective immunosuppressant drugs (Tysabri, Rituxan, Gilenya, etc.) have been found to be of any use on noninflammatory progressive patients. Having said all of that, with almost no other options to choose from, it's understandable why such progressive patients (myself included) would consider HSCT a potentially viable treatment option. Even if there was only a 1% chance of success, it's better than doing nothing. Unfortunately, HSCT is not without its risks, and the chemotherapy regimens do open patients up to opportunistic infections as well as possible cancers later in life. It's up to each patient to figure out their tolerance for risk, based on their own unique circumstances. One being ocidative stress, the other being the balance between glutamine and glutathione and GABA. Even the healthy eating people and what they propose actually has an effect on glutamine and glutathione. There's a common theme here, I mentioned this on the Barts forum and the md on there suggests they think the same! They even have an idea how to treat it from what I can see. Might be an idea for you to look at. Increasing the glutathione levels and GABA to glutamine ratio should help, it may cause cog fog and GABA has been used as a gabapentin alternative but it may well be one major component of neuronal issues in Ms.
Sir also enjoyed reading the research. Obviously you put a lot of time in. I However, had the HSCT procedure performed in Puebla, Mexico in December 2015 for my PPMS. I was reading most of the threaded remarks, they are prior to the opening of Clinica Ruiz to international patients. Dr Ruiz has many accolades, of which includes awards from the MAYO clinic. They, like Russia and Dr, Fedorenko, perform this procedure in PPMS patients also. My PPMS was, as you say, at age 53 and extremely progressive in it's degenerative march. I went from no symptoms in 2011 to wheelchair bound in less than three years. Unlike a few things I have read here. We say "No Chemo, No Cure" There have been a number of us PPMS personnel go through Clinica Ruiz, since the International inclusion. With that having been said, It has proved very successful for PPMS patients, as in it has halted the progression in most of us and as always the RRMS patients have seen the greatest improvement. As for PPMS patients, we may not see the physical improvements. but to have the disease halted with no further degeneration is what HSCT promises and delivers. I am trying, through contacting NHI as well as our congressmen to get the procedure expedited to FDA Approval, so the insurance will have to cover it. Just a note. I think you do good work and are very objective. I appreciate that. I belong to a number of 'closed forums where this type of thing is not only discussed, but there are testimonials, videos, blogs, and plenty of encouragement. We like to allow MS'ers to make up their own mind by giving them the most info as possible, and letting people who have been through it, answer their many questions. I underwent Revimmune in 08'. I was progressive, but still having attacks.Got some function back for a couple of years (they didn't actually want to take me for the trial because they thought I was too far gone) but am now just progressive and going downhill fast. Clearly I was not a typical patient and i didn't have stem cells infused or my bone marrow wiped clean. Also,I had already had MS for over 20 years at the time. I think that if the data on the HSCT patients is collected for long enough (10-15 years) the researchers will find that most patients have started to progress. Still great new for many, but not exactly NEW. Researchers are still pounding on the old, tired theory that if you just beat down our immune systems into greater and greater submission you can quell this disease. And many researchers are still avoiding us messy patients like the plague- if they can make a dent in PPMS and SPMS then they are really addressing the true disease- your previous posts on EBV and HERV, in my opinion, hit the nail on the head. 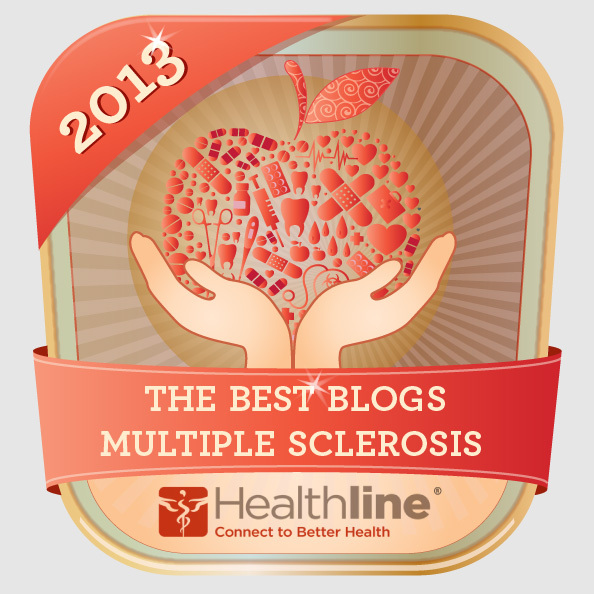 By not addressing the cause of MS, there will never be a real treatment. Still, it is generous and altruistic of you to comb thru the research, even if it just frustrates me to the point of wanting to shake tunnel-visioned researchers has hard as I can with my withered body. Sandra, I echo your sentiments 100%. The sad truth is that very little research is being done into the root cause of MS because so much money is being made treating the disease with various forms of immunosuppression. The marriage of capitalism and medicine is an unholy one. Regarding EBV and HERVs, although I didn't address this in the above article because I thought it might be too esoteric, there is the possibility that HSCT works because it effectively eradicates EBV from the human body. In its dormant state, EBV takes up residence in immune system B cells, which are completely destroyed in the HSCT process. Along with the ablation of B cells, a patient's EBV load is dramatically reduced, if not eliminated entirely. Could it be that this new "EBV free" state allows the genes that predispose a patient to MS (perhaps HERVs) to reset, keeping the new immune system from displaying autoimmune traits, at least for a while? Do patients reactivate because they are again exposed to EBV or some other environmental agent that sets their genetic predisposition for MS into action once again? This is not outside the realm of possibility, and would, I think, very elegantly explain why so many patients see almost complete remission for many years after HSCT treatment, but most do eventually see a resumption in MS activity. If they were exposed to EBV again after undergoing HSCT, which they very likely would be since the virus is so prevalent in the general population, it would take several years for the MS disease process to manifest itself clinically. I think your on to something with this, it also supports my glutathione theory. I agree with you. I have always wondered if a bone marrow transplant from someone without MS would be a true cure. Of course, that would require massive immunosupressive drug and a greater risk of death .From what I have read, stem cells are rich in EBV once someone has been expose. As usual, a well researched, informative article for those of us who wait for you to do all the work. I have to agree with Sandra, though. Anytime I see the words "may" or "if" in any current studies on MS, my cynical self yawns and turns the page. I still ask George, "why couldn't you have waited, just a while longer?" The answering silence is profound. I read George's blog frequently. I was profoundly saddened and affected by the devastation he, you and his whole family experienced from this MonSter. Though I never met him or you, I have to tell you that you are both in my thoughts and prayers. He will never be forgotten. I truly thank you. And, I, as well, am overwhelmed with sadness for all of you who have this curse called MS. I will never forget George's struggles and suffering. Again I echo Sandra's thoughts, George will never be forgotten. I still talk to him sometimes too, Hilda. As for the "ifs" of all medical research, one thing I've learned is that in this life absolutely nothing is for certain. I do know that there are researchers out there who are just as frustrated with the situation as we are, but they are unfortunately shackled to a medical research model that is horribly dysfunctional. Melton, I will be going to Moscow March of '16. Best of luck to you. I believe, right now, this is our best hope. Be well and keep fighting the fight. Thanks for your offer of trying to get Dr. Burt in touch with me. Much appreciated. Very well written article. I have read pretty much every study I can get my hands one. I even found an HSCT for MS study done in China. The only long term follow up study that I can find was the one in Italy: http://www.ncbi.nlm.nih.gov/pubmed/21422458. Progression free survival was 25% at 15 years. The median progressive free survival was 5.4 years. In patients with active MRI lesions, PFS was 44% at 15 years (median 11 years). This study used the BEAM protocol. Obviously this is just one study, but it is the only one with results so far out. However, interestingly in this study, there was only 1 relapsing/remitting ms patient. The majority were secondary progressive (19), Primary Progressive (11) and Relapsing-progressive (3). Since there has not been a long term study of 10 or 15 plus years with relapsing/remitting patients, it will be interesting to see how their long term outcomes will differ. The efficacy for the majority of rr patients for 5 years I think is pretty much proven, but beyond that who knows. I do think the long term results will be much higher for those who are relapsing/remitting, but that has obviously not been established yet. There also appears to be a correlation in the various studies I have read between less disability yielding more improvement and greater efficacy in the treatment. Also, in the Italian study, the patients had more advanced disease. It seems the earlier this treatment is given the better the result. For progressive patients, although the treatment doesn't seem to work as well, it does appear to work for the majority for at least a period. I think those patients should be allowed to have this treatment. Also, sorry to hear about Dave Bexfield. I have read his blog in the past and he is a really inspirational and positive person. Do you know if he had relapsing/progressive MS? Thanks for your very pertinent comments. If you click on the link I provide for the long-term outcomes study in the above article, you'll find an abstract from a Greek look at long-term outcomes. The abstract doesn't mention what flavor of the disease the patients had, only separates them by enhancing/nonenhancing. Spiro, along with all of the others who have undergone HSCT, I certainly hope that it does prove to be a cure for you. Or at least frees you from the disease for many, many years. Thanks and thanks again for taking the time out to offer us such a comprehensive and well-thought survey of the HSTC landscape for MS. Thank goodness, MS didn't destroy your mind. I hope something credible and effective shows up for you within the near future. This seems like a variation of Brodsky's work from the late 90s (immune ablation with high-dose cyclophosphamide). There was no transplant or infusion involved: just the immune system's stem cells regenerating. I talked to Brodsky through my neurologist and we decided not to go ahead: even then, the data suggested that the immune system reverted to its malfunctions after a time. So it didn't seem worth the risk. There's less risk now, of course, because we're much more experienced with protecting those with compromised immune systems--but it's probably too late for me. For someone in the very early stages of RRMS, though, it might be worth giving it a go and buying 3-5 yrs of remission. Oh, and 15 years ago I tried Novantrone (I think I was one of the first). Horrible experience; vile drug. I would urge anyone considering it to think very, very carefully. Nicola, I think your assessment is on point. The new refined protocols do seem to be quite effective on properly selected patients, and I think many such patients could expect at least five years of remission. As I stated in a previous comment, even five months would seem heaven sent to me. I was at one time gung ho about HSCT as initially I had severe ms (it actually might have been ADEM that converted to MS) and was looking at ways to stop this disease. On the Internet on first investigation I came away with the conclusion that all MS medications were useless and HSCT was the answer. I certainly can understand why people with progressive disease would put their hopes on this therapy, but it seems clear to me the progressive stage of the disease has other factors involved than inflammation caused by autoreactive t-cell infiltration. Anyway, keep up the good worwork and I hope the best for you in the future. Hi, thanks for your very interesting comments. For sure there is more unknown about MS than is known. As for the immunomodulating/immunosuppressant therapies and their effect on progressive disease, I think there is evidence that among certain subsets of the progressive patient population these medications do have some effect. I suspect that those subsets include patients that have an inflammatory component to the disease. As for the use of asthma medications and other off label drugs (such as those used for hypertension, etc.) 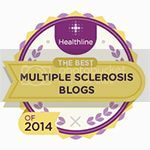 for the treatment of MS, they do point to MS being a systemic disease, rather than a strictly immuno neurologic disease, as it has been thought of thus far. 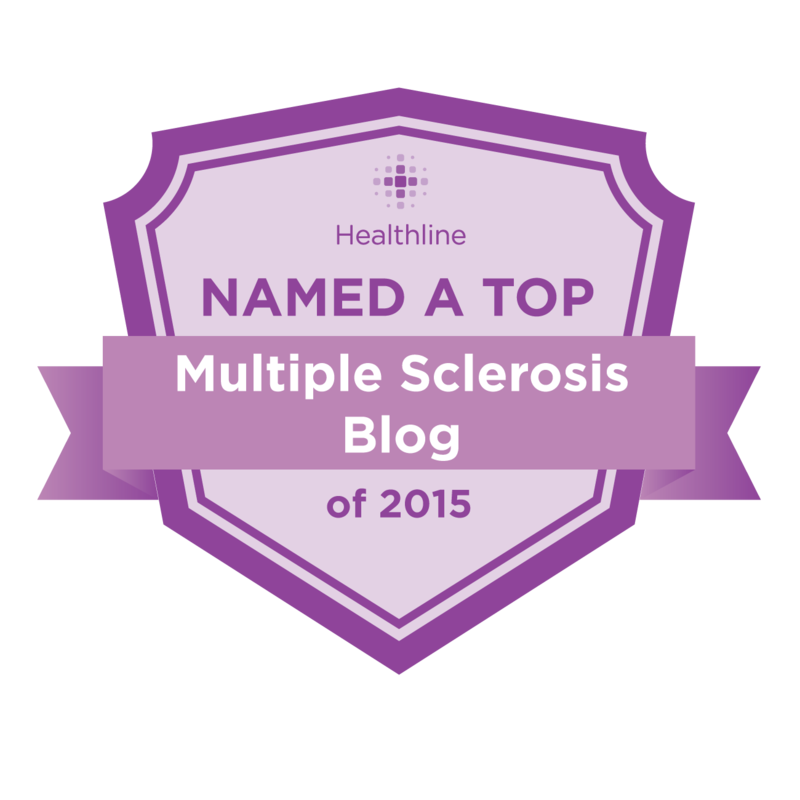 Seems that many MS patients share certain comorbidities (thyroid disease, skin conditions, etc.) 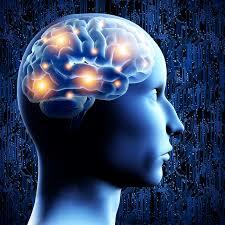 which aren't limited to the central nervous system. I think there may be a strong connection to the gut, and more specifically to the gut biome, as the nervous system/gut connection is quite strong, as is gut/immune system interaction. It could very well also be that at least some cases of progressive MS are a completely different disease, one that is more purely neurodegenerative and has little to do with the peripheral immune system. There is also evidence that tertiary lymphatic tissues arise within the CNS of progressive MS patients that form a type of rogue immune system within the confines of the CNS, operating completely independently from the peripheral immune system. 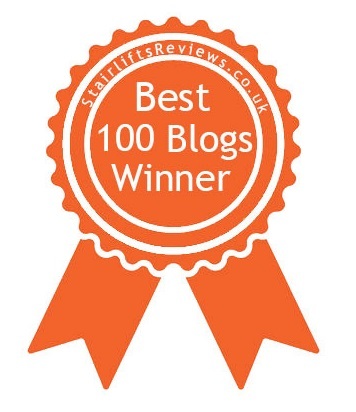 Marc, Thanks for the great article on HSCT including all the outcome statistics. For those interested in HSCT there is a very informative Facebook group started by George Goss, who was an early adopter HSCT MS patient and is now a strong HSCT advocate. The group has good information about places to get HSCT around the world and discussion between the members about aspects of HSCT that most of us never even considered. A great place to ask questions. The group is closed membership, but George will likely approve your membership request quickly. Fantastic summary in layman terms, as always Marc. Hi Marc. As always, I am more informed after I read your posts than I am before reading them. Thank you for your in depth research and citations. I have PPMS, and am involved with the current Phase 2B study involving Ibudilast for people with PPMS. Being part of the study, I am unsure if I am in the control group or the experimental group. I do think this drug offers hope, and it was just granted Orphan Drug status for a disease unrelated to MS called Krabbe Disease. The results of the current study for PPMS will not be known for another 18 months, but I do think there might be some help just over the horizon. First of all, I would like to thank you for such useful information. My brother, Christopher, who was diagnosed with MS during March 2014, is looking to have this procedure done, as he has been diagnosed with a very aggressive form of RRMS - in fact our neurologist here in Malta confirmed that he had not seen such an aggressive form since the 1980's. Chris has tried both Avonex and Betaseron, which were of no use at all....he si now on Tysabri which seems to be doing the trick, but we are aware of the possible complications if he were to remain on this drug for a long period of time. The only barrier we are facing with regards to getting HSCT done yesterday rather than today, is the financial aspect, and I shall be truly grateful if any one you could advise as to hwo finances are normally raised for such a treamtent? Should you wish to help out, I have set up the following page in hope of raising part of the cost http://gogetfunding.com/hsct-fund/. Even if you were to just forward the page onto others, it would be greatly appreciated. I wish the world was not so money minded and that they would just focus on finding a cure for this cruel disease. Mark, Thank you for the amazigly well written and obviously well researched article. My wife was diagnosed in 2012 with ppms. After much research---against the wishes of my wifes nearologist (early on),we have made the decision to move ahead with the hsct treatment. Her neurologist has recently jumped on board and will support us 100% upon our return to the states---a big psycological block is now lifted. We will have the procedure in Peubla Mexico early Fall 2016. We will keep you informed as we move through the process! And much success to you as you move forward. I just had hsct done in Puebla Mexico 1 month ago. Im progressive and can tell you for the 1st time in 8 years, I can now get hot without going blind and my legs becoming jello. I can now also pee and poo like a normal person. I'm also walking further already. I would love to share everything that I have went through with you along with all my hsct paperwork, test and everything. Mexico does is a little bit different, but I can only tell you about my results which is early. But so far, I'm glad I did it. I have a blog of everyday I was there and want you to study me and see what you think. My email is rosenthalfiles@aol.com and you can find me on facebook as Mark Rosenthal in Griffin ga. Thanks so much for this article! It has all the information I was looking for in one place! Thanks for your research!